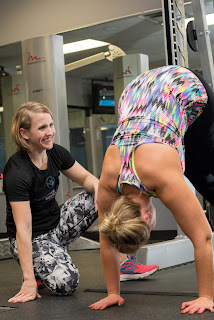 Amy offers one-on-one and small group personal training services in home or on-site locally at the Regency Tennis Center and GAC in Springboro. If you are new to working out, have a busy schedule or want a routine that is specifically tailored to your needs, one-on-one training is definitely an option for you. Small group training is great for 2-5 individuals with similar training goals who are able to meet at the same time and location. In both cases, Amy builds routines that evolve around the equipment you have available to you on a daily basis or onsite at the gym and also provides you with your workouts after the fact so you can continue to use them in the future. *If client lives or meets within 5 miles of the Springboro area. Prices vary depending on geographic location of training session. First, go over your fitness, health and wellness goals and what equipment and resources are available to you. Amy will then develop a detailed month long exercise and lifting routine to be re-evaluated after one month. We will also look through your 7-14 day food journal to evaluate your eating habits and pinpoint any areas of opportunity. This meeting can take place in person or via telephone. 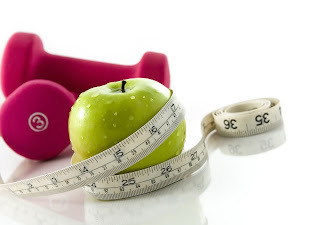 *Amy is not a registered dietitian and therefore cannot write you a diet plan but she can help guide you in making healthier choices to support your fitness, health and wellness goals. Second, go over your detailed exercise routine that you will be provided with and give you the resources to complete it. Third, re-evaluate your routine after one month and alter anything that needs to be adjusted in your fitness routine and eating habits. FOR MORE INFORMATION OR TO INQUIRE ABOUT HIRING A PERSONAL TRAINER, PLEASE EMAIL US AT AMYWALSHFITNESS@YAHOO.COM.